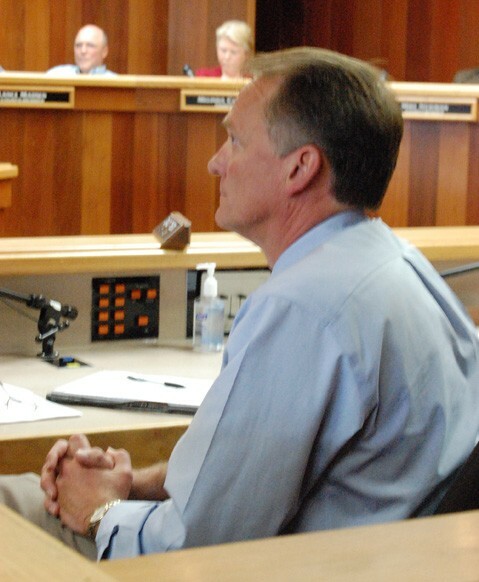 Former Eureka City Manager David Tyson, who retired last December after 12 years in the position, has been temporarily rehired to help Interim City Manager Mike Knight. With the abrupt exit of Tyson's successor, Bill Panos, who resigned on Oct. 4 after less than a year on the job, Knight said Tyson has been brought out of retirement "to assist me with implementing some of council’s visioning policies because we’re short-staffed." Since his retirement, Tyson has been working with the Land Bridge Alliance, one of a handful of regional groups bent on establishing an east-west railroad connection from Humboldt Bay to the national rail system. While Tyson hasn't been given an official title or specified duties, Knight said he's being paid as an assistant city manager, a position with a starting salary of $53.41 per hour, or $9,257 per month. The terms of his resumed employment are still being negotiated. The city has retained recruiting firm Peckham & McKenney to search for Panos' successor, but Knight said the firm isn't planning to start interviewing until after the holidays.